Ian D'Souza joined New York University's Stern School of Business in 2006 and is an Adjunct Professor of Finance teaching behavioral & experimental finance, blockchain & cryptocurrencies and new venture financing. 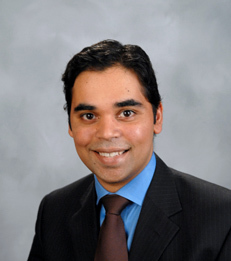 Professor D'Souza is currently an investment committee or board member to several family offices, companies, funds and endowments covering real estate, venture capital, hedge funds, cryptocurrencies and infrastructure projects. He is also a founding member of the NYU Stern Family Office Council with over 200 members. Professor D'Souza has over 15 years of experience investing a cross-asset portfolio as well as structuring private entities to capture key growth initiatives such as network effects, automation efficiency, infrastructure shifts and regulatory trends. Previously, he was the Chief Investment Officer, TMT sector & Managing Director at the family office of Luminus Management LLC, an Executive Director at Rothschild North America where he advised on cross-border M&A and US-based restructuring for infrastructure and held several management positions at PricewaterhouseCoopers LLP, including Head of Corporate Finance Research in Australia. He has led teams in applied research, corporate finance and principal investments in Australia, Hong Kong, Western Europe and North America. All his roles combine behavioral and fundamental factors in making investment & portfolio decisions. Specifically, his current research is focused on experimental finance topics around the use of alternative data-sets such as satellite imagery, weather patterns, sentiment data and distributed ledger forensics, tail distributions and the interaction of human cognition and artificial intelligence. Professor D'Souza has presented before the White House OMB, the Federal Communications Commission (FCC), numerous corporate boards and his work has been cited by the District Court of New York and various media outlets. He also holds a number of US patents.